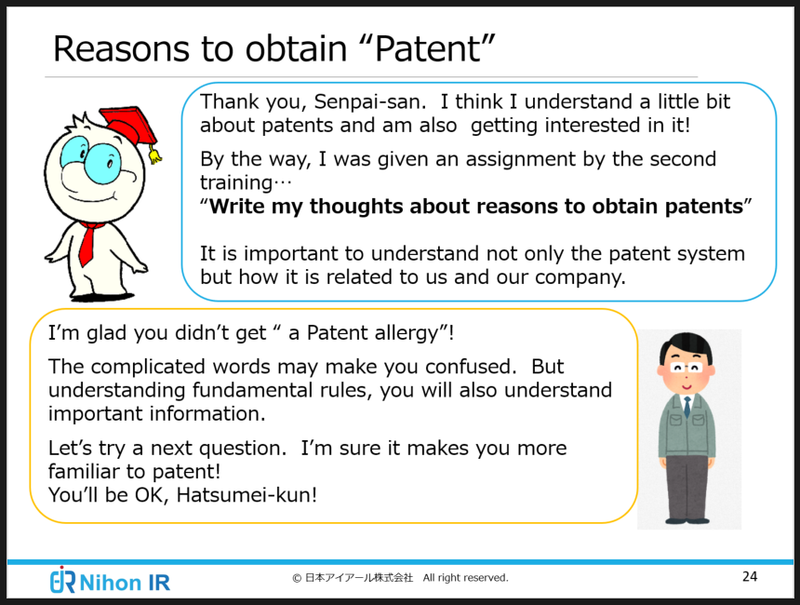 ・Should we be genius to obtain patents? 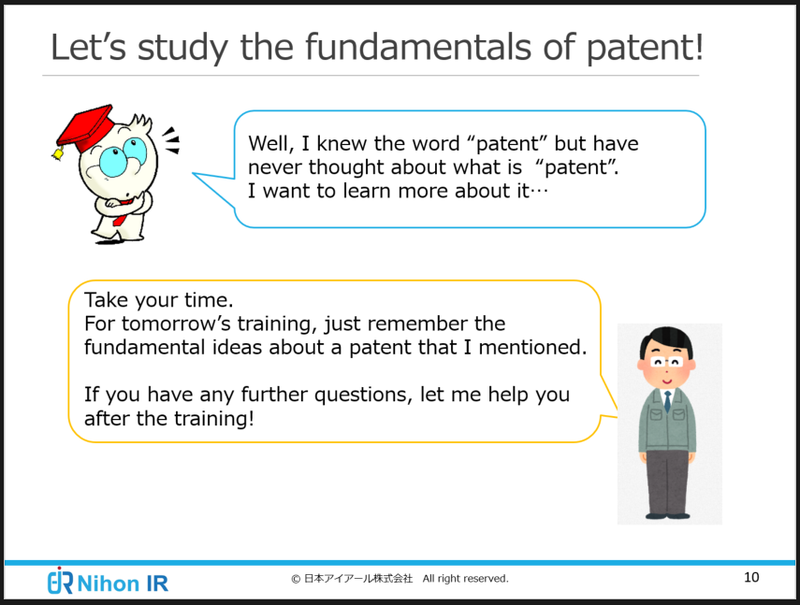 ・Where to find granted patent publication? 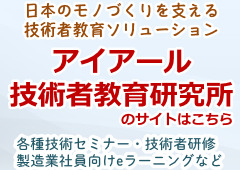 ・What is important to patent gazette? 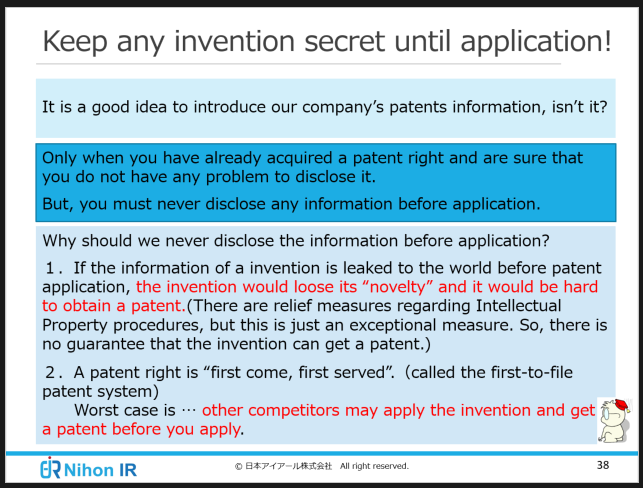 ・Keep any invention secret until application! ・Always keep in mind! 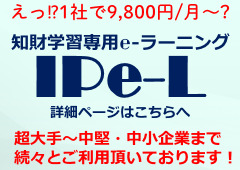 "Never infringe the others' rights"
・Get advice from the expert, "intellectual property department"
会社概要 お問い合わせ サイトマップ Copyright © 2019 日本アイアール知的財産研修センターAll Rights Reserved.